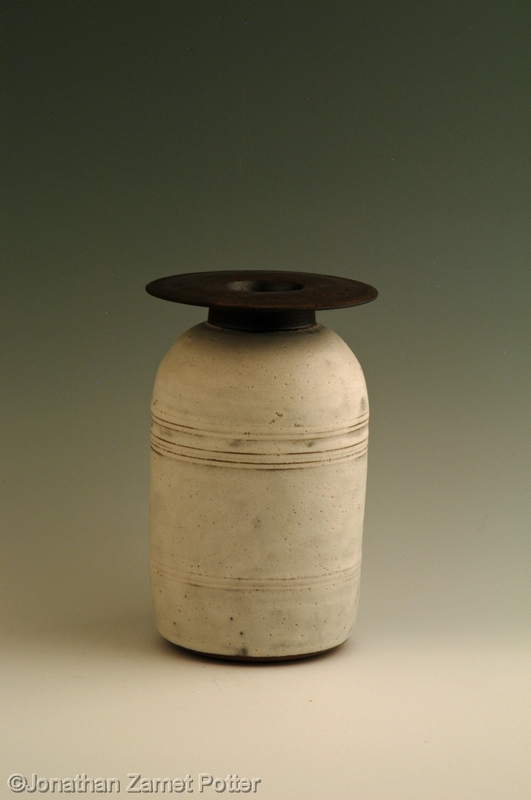 Stoneware bottle vase. Height about 8". Matt white glaze with bronze rim. Also made in two parts, the rim added once the base was "leather-hard." The debt to Hans Coper is pretty obvious.